As New Jersey begins to talk about marijuana legalization, the value of hemp should not be overlooked. Hemp and marijuana are both from the species cannabis. However, because hemp contains nearly no delta-9-tetrahydrocannabinol (THC), it can’t be used as a psychoactive drug. Rather, it has a wide range of industrial uses, including dietary supplements, skin products, clothing, insulation, paper, and accessories. Overall, hemp is known to have over 25,000 possible applications, and none of them involve getting “high.” Despite its vast differences from marijuana, hemp is frequently lumped together with its more controversial cousin. As a result, the ability to farm hemp has been highly restricted in the United States. The growth of industrial in the United States dates back to the arrival of the first European settlers. In 1619, it was illegal not to grow hemp in Jamestown, Virginia. Several founding fathers, including George Washington, Thomas Jefferson, and John Adams, grew hemp. Over time, cotton grew in popularity, while farming of hemp waned. The industry further declined in 1937 when the Marihuana Tax Act effectively made possession or transfer of marijuana illegal under federal law (with the exception of medical and industrial uses) by imposing an excise tax on all sales of hemp. Hemp made a brief comeback during World War II. It was in such demand to support the war effort that the U.S. Department of Agriculture launched a “Hemp for Victory” campaign to encourage farmers to embrace hemp again. By 1943, farmers registered in the program grew 375,000 acres of hemp. Hemp’s legality took another hit with the passage of the Controlled Substances Act of 1970. Despite its long agricultural history and lack of measurable THC, industrial hemp was classified alongside marijuana as a Class I substance, making it illegal to grow under federal law. Federal regulations of hemp have relaxed slightly in recent years. In 2014, President Obama signed the Agricultural Act of 2014, or the 2014 Farm Bill. It authorized universities and state departments of agriculture to begin cultivating industrial hemp for limited purposes. Specifically, they can grow or cultivate industrial hemp if: “(1) the industrial hemp is grown or cultivated for purposes of research conducted under an agricultural pilot program or other agricultural or academic research; and (2) the growing or cultivating of industrial hemp is allowed under the laws of the state in which such institution of higher education or state department of agriculture is located and such research occurs.” In response, at least 34 states passed legislation related to industrial hemp, according to the National Conference of State Legislators. While hemp is still largely illegal to farm in the United States, it can be imported. 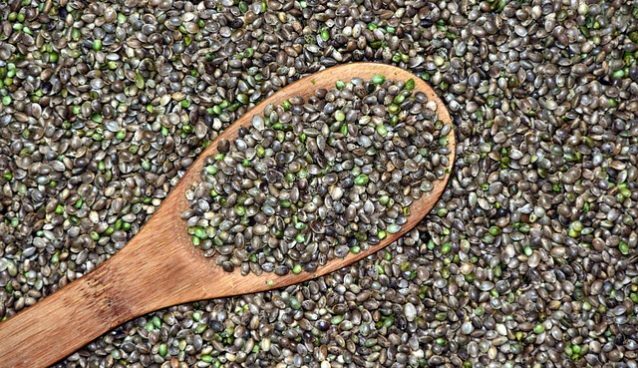 In fact, an estimated $500 million worth of hemp product is imported into the country every year, according to the Hemp Industry Association. New Jersey lawmakers are currently considering legislation that would clear the way for industrial hemp farming in the Garden State. Assembly Bill 1330 would establish an industrial hemp license, which would allow hemp to be commercially planted, grown, harvested, possessed, processed, distributed, bought, or sold. Under the bill, industrial hemp is defined as any variety of Cannabis sativa L. with a delta-9-tetrahydrocannabinol concentration of 0.3% or less on a dry weight basis. Much like the existing process for obtaining a medical marijuana dispensary license, applicants would have to undergo fingerprinting and a background check. The application would also have to include documentation and a legal description of the land to be used for the growing and production of industrial hemp, such as a map, aerial photograph of the land area, or global positioning coordinates sufficient for locating the production fields. The Secretary of Agriculture would be tasked with overseeing the new hemp farming program. Under the proposed bill, the agency would be responsible for establishing additional rules and regulations governing issues such as establishment of approved varieties of industrial hemp and methods to distinguish it from any type of marijuana; protocols for testing plant parts during growth for delta-9-tetrahydrocannabinol; and guidelines for monitoring the growth and harvest of industrial hemp.